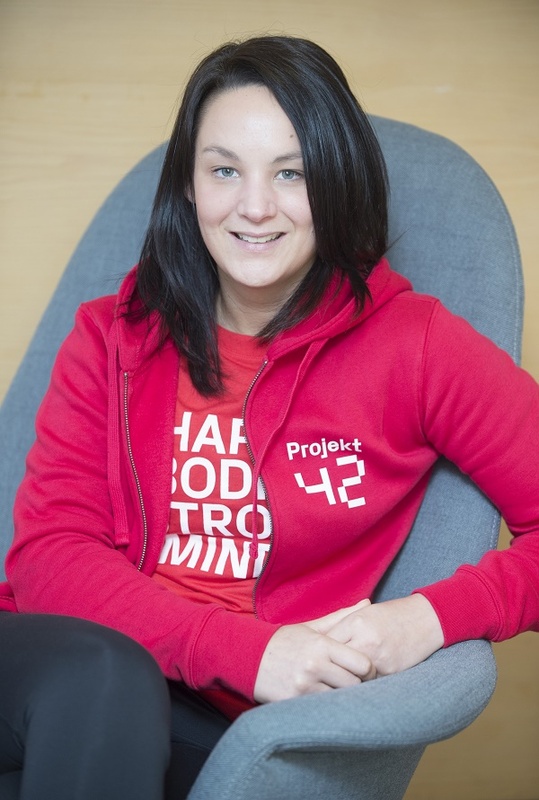 Sara Hawkins, founder of the not-for-profit gym and wellness centre, Projekt 42 in Leith, Edinburgh has recently been announced as one of the Charity Champion finalists in this year’s Scottish Charity Awards. Judges will be unveiling the winners at a glittering ceremony on 14 June 2018 at the Edinburgh International Conference Centre. Sara is one of six finalists in the Charity Champion category, she was nominated by colleagues at the gym who felt inspired and humbled by her immense efforts to deliver Projekt 42 and her continuing energy to create a community within the gym that supports and helps each other. Having been diagnosed with PTSD in 2012, Sara quickly found the combination of physical exercise, counselling and life coaching that got her back on her feet again. It has been from her own personal experiences that she has been driven to try and tackle the mental health issues in the capital and provide support to those that, like her have been unable to access treatment due to long NHS waiting lists. Within the space of a year, Projekt 42 has been operating from its temporary space in the Newkirkgate and Sara is spearheading the development of new facilities on Halmyre Street with the support of a property taskforce led by Buccleuch Property. The current facility has over 2,000 active users and Sara and her team of volunteers have delivered over 15,000 classes ranging from metafit to hip hop fitness, yoga and meditation. The opening of Projekt 42 and the purchase of necessary equipment was funded by the sale of Sara’s own flat. Sara remains unpaid but works tirelessly every day across all aspects of running the charity, from managing the finances and teaching classes to even cleaning the gym. Commenting on Sara’s award achievements, Oliver Brown from Projekt 42 said; “Sara truly is an inspiration to every single one of us, she has built Projekt 42 from scratch and continues to strive to make it bigger and better. Sara has also recently been shortlisted in the Edinburgh Evening News Local Hero Awards Health Champion category.